Welcome to the website of Scarning VC Primary school. We think Scarning is a great place. Our children love their school, and the staff do their all to inspire. Our ethos, values and innovative curriculum ensure that the children are at the heart of everything we do. We feel that Scarning is a very supportive, caring and inclusive school; one where children have a voice. 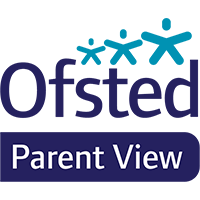 We work hard to ensure that we support our children to become independent, motivated, confident individuals who aim to be the best they can be. Through our curriculum and wide range of enrichment activities we are able to provide our children with a well- rounded school experience; one that is exciting and fun. We hope that you find our website informative and interesting and that it gives you a flavour of life at our school. Please do get in touch if you would like to arrange a visit to Scarning. If you would like a paper copy of the information on this website please contact the school office who will be able to provide this free of charge.